It may sound like something out of Game of Thrones, but the pursuit of dragon’s blood is no fantasy. The island of Socotra, located several hundred kilometres off the coast of Yemen, is often referred to as the ‘Galapagos of the Indian Ocean’ due to its isolated position and high number of endemic species. 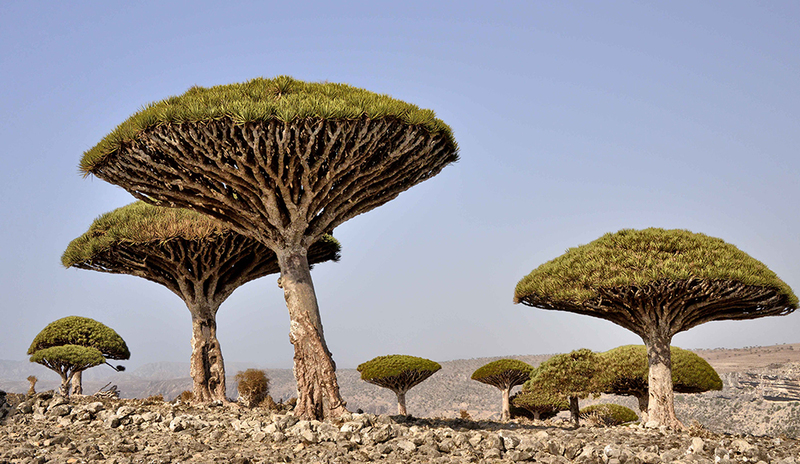 One of the most unusual flora growing on the island is the dragon’s blood tree (Dracaena cinnabari), which reputedly first grew on the spot where two brothers, Darsa and Samha, fought each other to the death. In Arabic, the tree is known as dam al akhawain, meaning “the blood of the two brothers”. The tree gains its name because of the dark red resin, which flows from its trunk when cut and which resembles blood. In March 2018, an MBI Al Jaber sponsored team landed on Socotra in order to document the island’s rich natural heritage. One of the team was Ella Al-Shamahi, palaeoanthropologist, stand-up comedian, and presenter of the recent BBC series Neanderthals – Meet Your Ancestors. 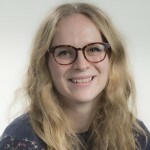 Ella recounts her experiences in a lecture entitled Dragons Blood Island: Socotra and Our Search for Dragons at the MBI Al Jaber Building, SOAS University of London. The MBI Al Jaber Foundation supports students from the Arab world to gain the freedom and opportunity to shape their future and that of their community, by helping them to gain access to education. On Socotra, the MBI Al Jaber Foundation have been supporting the resourcing of a training centre, which is providing Yemeni people with an education in English and IT skills.